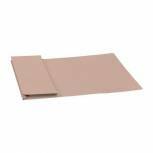 Q-Connect Document Wallets Foolscap Assorted (Pack of 50) KF01490 Pack of 1 Q-Connect Document Wallets. Strong manilla document wallet suitable for A4 and foolscap papers. Foolscap. Colour - Assorted. 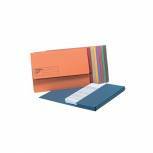 Q-Connect Document Wallet Foolscap Blue (Pack of 50) KF23011 Pack of 50 Q-Connect Document Wallets. Strong manilla document wallet suitable for A4 and foolscap papers. Foolscap. Colour - Blue. 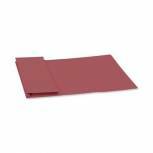 Q-Connect Document Wallet Foolscap Red (Pack of 50) KF23016 Pack of 50 Q-Connect Document Wallets. Strong manilla document wallet suitable for A4 and foolscap papers. Foolscap. Colour - Red. 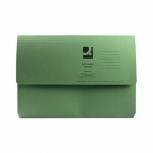 Q-Connect Document Wallet Foolscap Green (Pack of 50) KF23012 Pack of 50 Q-Connect Document Wallets. Strong manilla document wallet suitable for A4 and foolscap papers. Foolscap. Colour - Green. 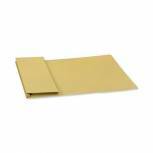 Q-Connect Document Wallet Foolscap Yellow (Pack of 50) KF23017 Pack of 50 Q-Connect Document Wallets. Strong manilla document wallet suitable for A4 and foolscap papers. Foolscap. Colour - Yellow. 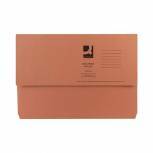 Q-Connect Document Wallet Foolscap Orange (Pack of 50) KF23014 Pack of 50 Q-Connect Document Wallets. Strong manilla document wallet suitable for A4 and foolscap papers. Foolscap. Colour - Orange. 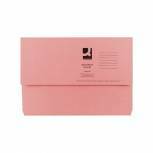 Q-Connect Document Wallet Foolscap Pink (Pack of 50) KF23015 Pack of 50 Q-Connect Document Wallets. Strong manilla document wallet suitable for A4 and foolscap papers. Foolscap. Colour - Pink. 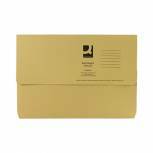 Q-Connect Document Wallet Foolscap Buff (Pack of 50) KF23010 Pack of 50 Q-Connect Document Wallets. Strong manilla document wallet suitable for A4 and foolscap papers. Foolscap. Colour - Buff. Guildhall Full Flap Pocket Wallet Foolscap Blue (Pack of 50) PW2-BLU Pack of 50 Guildhall Full Flap Pocket Wallet. Classic manilla pocket wallet with a full 220mm flap and 35mm gusset. Manufactured from strong 315gsm sprint manilla. Size - Foolscap. Colour - Blue. 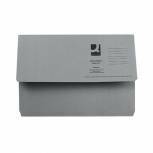 Q-Connect Document Wallet Foolscap Grey (Pack of 50) KF23013 Pack of 50 Q-Connect Document Wallets. Strong manilla document wallet suitable for A4 and foolscap papers. Foolscap. Colour - Grey. Guildhall Full Flap Pocket Wallet Foolscap Yellow (Pack of 50) PW2-YLW Pack of 50 Guildhall Full Flap Pocket Wallet. Classic manilla pocket wallet with a full 220mm flap and 35mm gusset. Manufactured from strong 315gsm sprint manilla. Size - Foolscap. Colour - Yellow. Guildhall Full Flap Pocket Wallet Foolscap Buff (Pack of 50) PW2-BUF Pack of 50 Guildhall Full Flap Pocket Wallet. Classic manilla pocket wallet with a full 220mm flap and 35mm gusset. Manufactured from strong 315gsm sprint manilla. Size - Foolscap. Colour - Buff. Guildhall Full Flap Pocket Wallet Foolscap Green (Pack of 50) PW2-GRN Pack of 50 Guildhall Full Flap Pocket Wallet. Classic manilla pocket wallet with a full 220mm flap and 35mm gusset. Manufactured from strong 315gsm sprint manilla. Size - Foolscap. Colour - Green. Guildhall Full Flap Pocket Wallet Foolscap Red (Pack of 50) PW2-RED Pack of 50 Guildhall Full Flap Pocket Wallet. Classic manilla pocket wallet with a full 220mm flap and 35mm gusset. Manufactured from strong 315gsm sprint manilla. Size - Foolscap. Colour - Red. 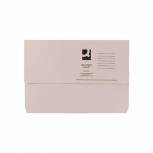 Q-Connect Document Wallet Foolscap Buff (Pack of 50) KF26090 Pack of 50 Q Recycled Document Wallets. Manufactured from heavyweight 100 percent recycled kraft manilla. Deep pocket with half flap for protection. Flap can be neatly tucked inside pocket. Accommodates up to foolscap sized papers. Packed in 50s. 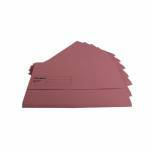 Guildhall Document Wallet Foolscap Pink (Pack of 50) GDW1-PNK Pack of 50 Guildhall Document Wallet - GDW1. Foolscap wallet with 145mm flap. Expands to 32mm to hold around 180 sheets. Made from 285gsm manilla. Colour - Pink. 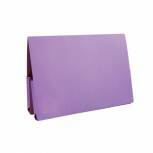 Guildhall Document Wallet Foolscap Violet (Pack of 50) GDW1-VLT Pack of 50 Guildhall Document Wallet - GDW1. Foolscap wallet with 145mm flap. Expands to 32mm to hold around 180 sheets. Made from 285gsm manilla. Colour - Violet. 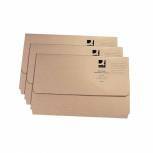 Guildhall Document Wallet Foolscap Assorted (Pack of 50) GDW1-AST Pack of 1 Guildhall Document Wallet - GDW1. Foolscap wallet with 145mm flap. Expands to 32mm to hold around 180 sheets. Made from 285gsm manilla. Colour - Assorted. 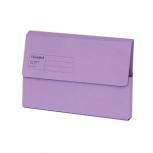 Guildhall Mauve Double Pocket Legal Wallet Foolscap (Pack of 25) 37214 Pack of 25 Guildhall Double Pocket Wallet. Manufactured from 315gsm manilla. For sorting and storing papers into two categories. Two standard side opening pockets in one file for increased capacity. 30mm capacity, holds up to approx. 300 sheets. Foolscap. 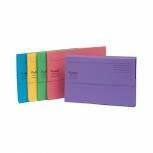 Exacompta Guildhall Forever Document Wallet Manilla Foolscap Assorted (Pack of 25) 211/5000 Pack of 25 Guildhall bright document wallets made from 100 percent recycled manilla. Foolscap with 32mm gusset. Box of assorted.